Brothers Gaston and Claudio Urrejola may be the most talented, multi-faceted lodge owners we have ever met. Between them they can do virtually anything including building a spectacular lodge themselves and then turning that into one of the best run fly fishing and multi-sport lodges in South America. 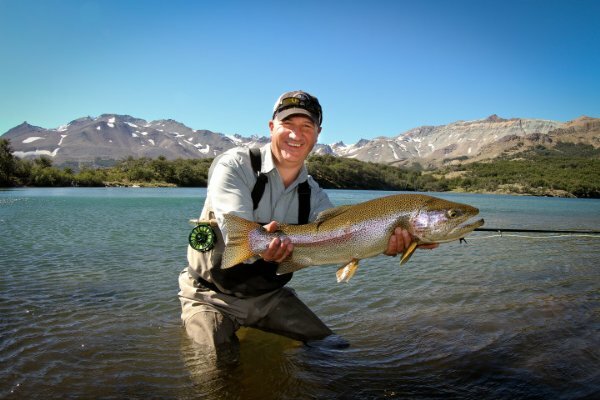 Located just outside of the regional capital of Coyhaique, an area widely considered Chile’s trout fishing mecca, this first-class modern facility sets the standard for premier fly fishing lodges in Chilean Patagonia. Coyhaique River Lodge is located in Chilean Patagonia, 10 minutes from Coyhaique on the banks of the Rio Coyhaique and 45 minutes from the regional airport of Balmaceda.